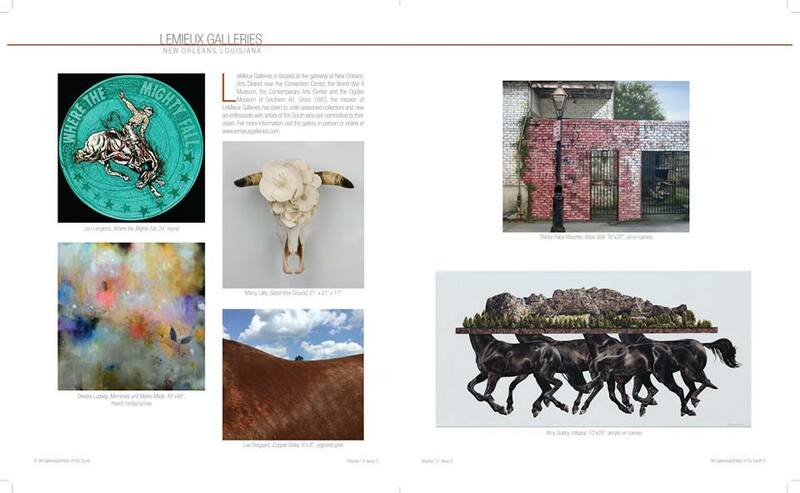 My painting Integral is featured in the current issue of Art Galleries & Artists of the South Magazine as part of the LeMieux Galleries spread. My 2-person show with photographer Lee Deigaard is coming up soon at LeMieux in New Orleans. Opening August 6th! I’ve recently finished a new painting in my In Our Veins series. The title is Consciousness and it is an acrylic on canvas, 12″ wide by 6″ high. Consciousness refers to an awareness of ourselves and the biological link to the natural world. View the painting and more details online here: http://amyguidry.com/consciousness.html. 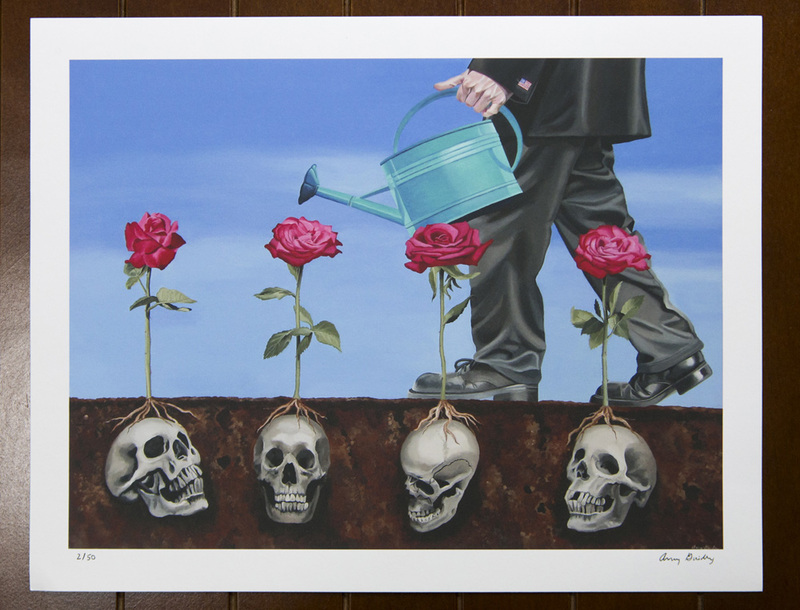 Prints of my painting, Everything’s Coming Up Roses, are in! This is a limited edition run of giclée prints, $50 each plus shipping (usually $7.05 in the United States). They are signed and numbered on 100% cotton rag, Acid-free, archival, 230 gsm paper, 14″ wide by 11″ high. Contact me at: http://amyguidry.com/contact.html. I have a big announcement. For the first time ever, I will have prints of Everything’s Coming Up Roses. I have done a limited edition run of 14″ wide x 11″ high giclees and they will be available soon for $50. If you would like to be notified as soon as they are available, message me or email me with the best way to contact you. The Frieze art fair in New York has a donkey on display as an “exhibit.” The “artist” is Maurizio Cattelan. 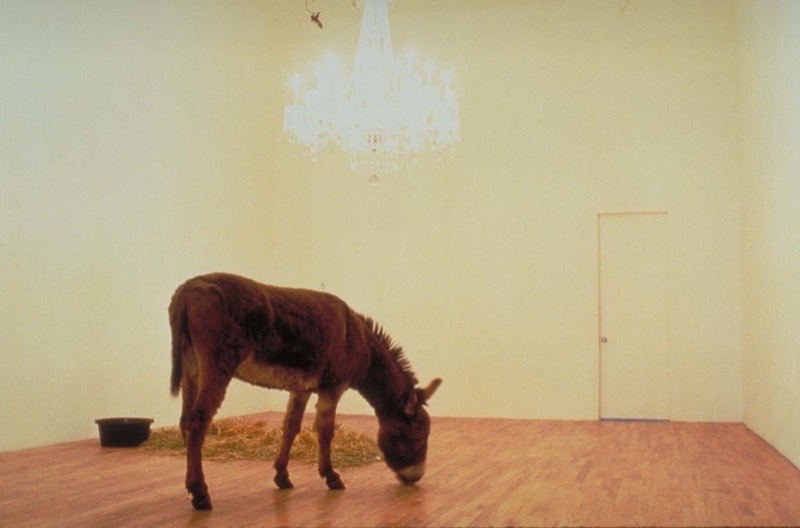 The donkey is left standing around in an empty room with a chandelier above. What? This has no meaning, no message, nothing. The artist thinks it connects humans to animals. This couldn’t be further from the truth. Instead, this donkey is on display, an object for our entertainment. This is no different than going to a zoo, other than the pointless chandelier. Many people are up in arms over the welfare of the donkey. Of course the show promoters argue that the donkey has it “good” and much better than being in a barn. Then again, are animals meant to just live out their lives in a barn? This is not the first time animals have been used as “art.” Last year there were a dozen horses cooped up in a gallery. And in 2014, tortoises had i-Pads screwed into their shells for an “installation” piece by Cai Guo-Qiang. These are just recent examples that have made headlines. Unfortunately, there are others. In every one of these cases, the artists and the gallery owners all argue that the animals are fine and unharmed. There is no way that they can know this. They just issue some sanitary, generic statement to put the public at ease and go about their day. The animals are not their highest concern. There is no reason why live animals should be used as art. If you were to replace the animal with a child, you would get a call from Social Services, so how is it any different for any other living being? There are ways to get your message across without using live animals. You’re an artist, get creative and figure out another way. I paint animals, I focus on our connection to the natural world, and I also deal with difficult issues such as habitat destruction and extinction, just to name a few. If you really want to make a statement, how about going vegan? How about not supporting companies that test on animals? How about rescuing animals rather than using them? That’s a far greater statement than this so-called art. I’ve recently finished a new painting in my In Our Veins series. The title is Bridge and it is an acrylic on canvas, 6″ wide by 6″ high. 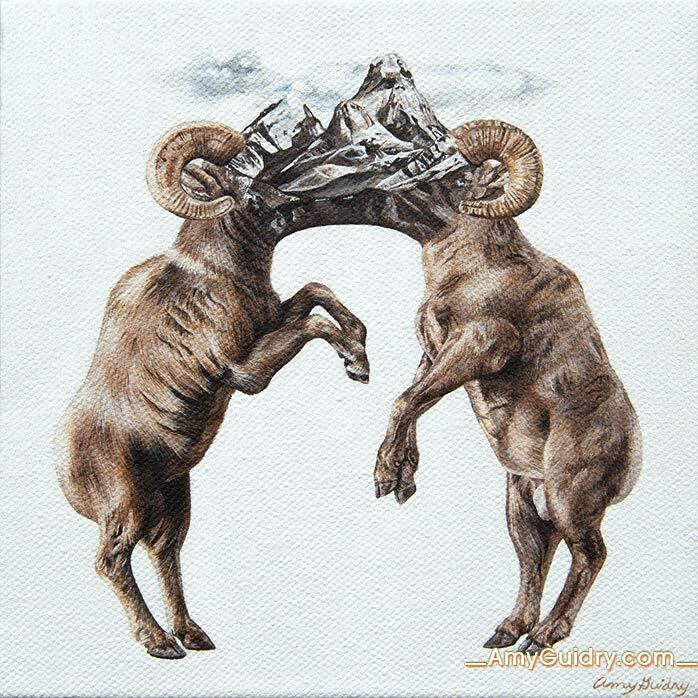 Bridge features two mountain rams, linking them to the mountains, serving as a bridge connecting all of nature. 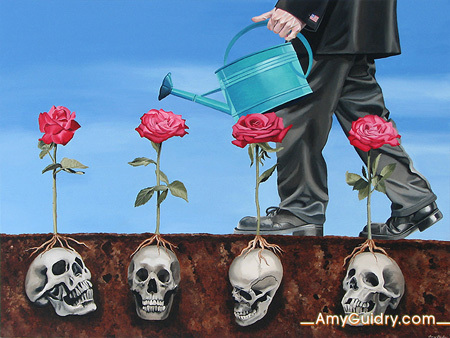 View the painting online here: http://amyguidry.com/bridge.html.